Beginning with the launch of its Radeon Gamer Series memory products, AMD started a general strategy of increasing the number of AMD branded products in the market. The overall aim is to make the buying process easier for users, and to inspire confidence that everything will work together straight out of the box. Of course, these aren't likely issues that plague the average bit-tech reader, and it's without doubt more of a branding strategy than anything else, but it's still one that could pay off with less knowledgeable or confident buyers. 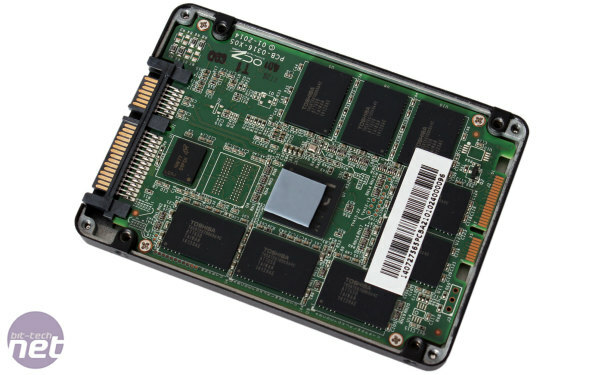 For its first foray into the world of SSDs, AMD is partnering up with OCZ, which means we're looking at a drive using an Indilinx controller and Toshiba NAND. To be clear, this is purely a rebrand from AMD. 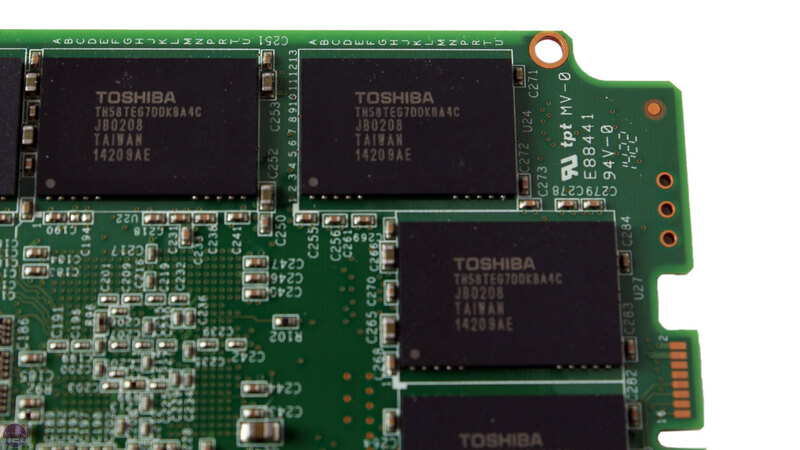 While there isn't currently an identical model on the market from OCZ, it's OCZ that manufactures the Radeon R7 SSDs, writes the firmware and directly services all of their warranties. 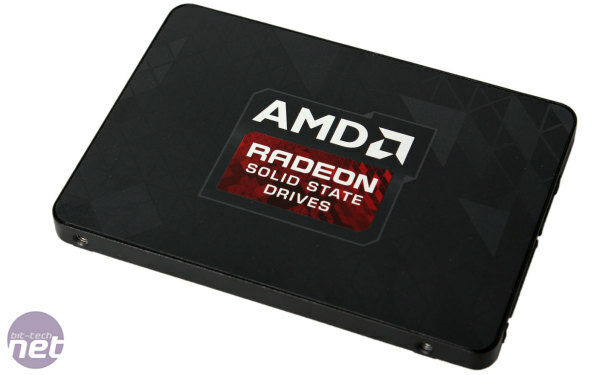 As you can see, the Radeon R7 SSD is available in three capacities, each of which has OCZ's standard level of overprovisioning so as to bring them down to the rounded capacities you see. The quoted speeds are in line with what we'd expect of a fairly high-end SSD, as is the price tag, which we've left as an estimate since AMD only supplied the UK MSRP excluding tax. Also, despite the differentiation of high-end and mid-range/low-end AMD graphics products into R9 and R7 name classes respectively, AMD has no plans to release an R9 series of SSDs. 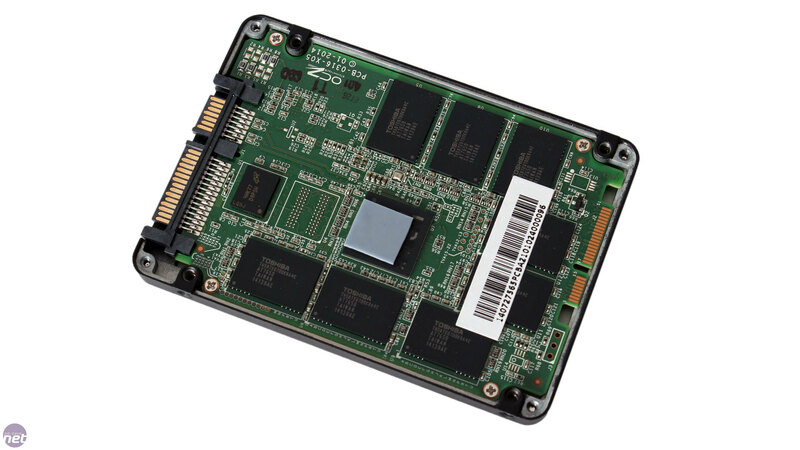 The SSD uses the SATA 6Gbps interface, is 7mm tall and has a black all-metal chassis with a full-cover sticker on the front face. 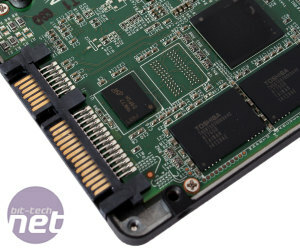 As with most OCZ drives (excluding the Arc 100), it ships with a copy of Acronis True Image HD and a metal adaptor bracket for 3.5-inch drive bays. 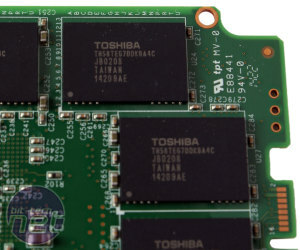 The NAND inside is Toshiba's latest A19nm MLC flash memory. 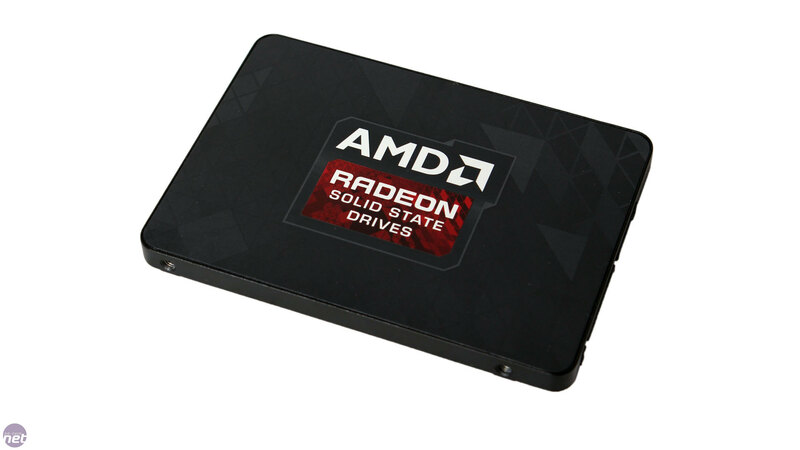 This was also used in the recent Arc 100, but AMD tells us the R7 SSD is the first 'gaming-class' drive to use it. What exactly is meant by gaming class isn't fully clear, but the company says it is designed to fit in between professionals on one end and everyday users on the other. 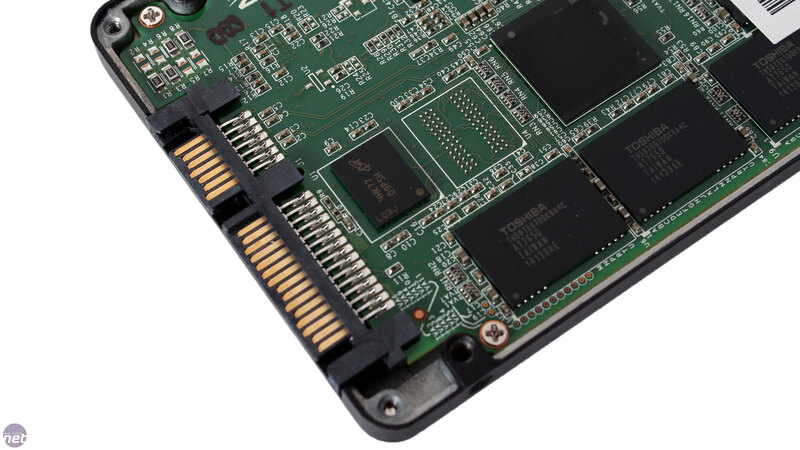 The estimated pricing also suggests such a positioning – professional level drives like the Samsung SSD 850 Pro are about £25 more expensive at this capacity, while entry level SSDs like the SSD 840 Evo, Crucial MX100 and OCZ's Arc 100 typically sell for between £80 and £90. 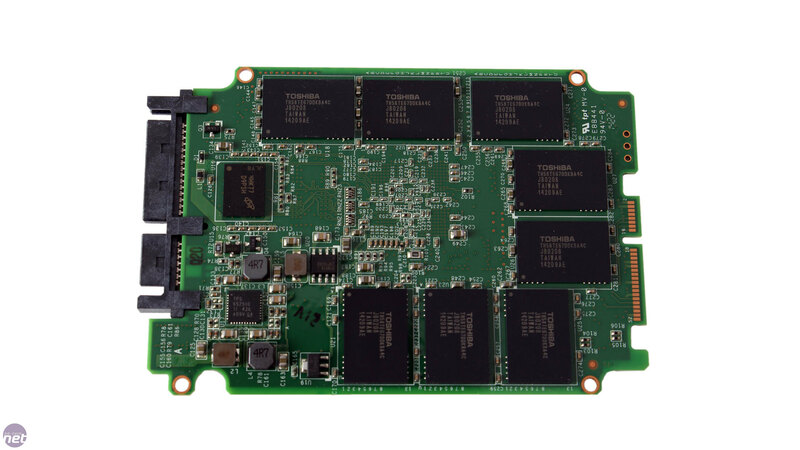 The eight-channel Barefoot 3 controller is by now a familiar sight in OCZ drives, and here we have the M00 model, which has a higher clock speed than the M10 used in both the Vertex 460 and Arc 100. 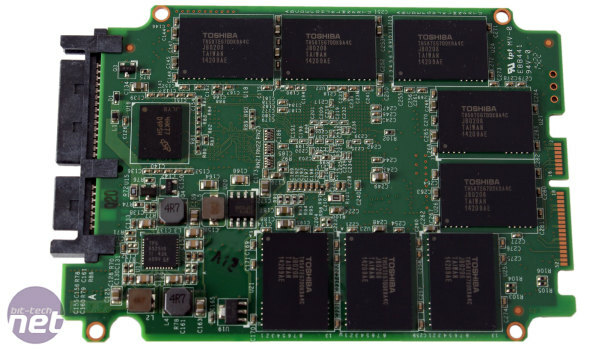 As mentioned, the firmware is developed by OCZ but with certain modifications to suit the R7 SSD, though no specifics were given. Encryption is your standard 256-bit AES affair – there's nothing more advanced included and no power loss protection either. Each Radeon R7 SSD comes with a 4 year warranty, 1 year more than with the Vertex 460 and Arc 100 but 1 year less than with the Vector 150. The workload this covers is 30GB/day, so you can write around 44TB to the drive before you risk invalidating the warranty, and this applies to all three capacities.